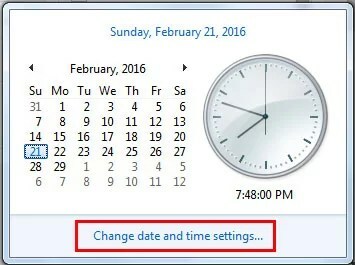 I found a couple of sites that suggest it has to do with the Windows date format and recommended to change the date format to [dd-mm-yyyy], I have follow the instruction but cannot eliminate the error, i keep on searching solution on the internet around an hours with no luck. I uninstalled PrimoPDF and reinstall, still the same. 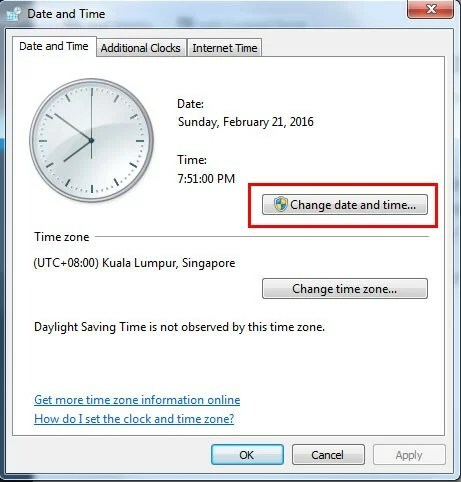 Suddenly something come in my mind, I am decide to give it a try since I cannot find any solution from internet, and Ta Dah!! it solved my problem. 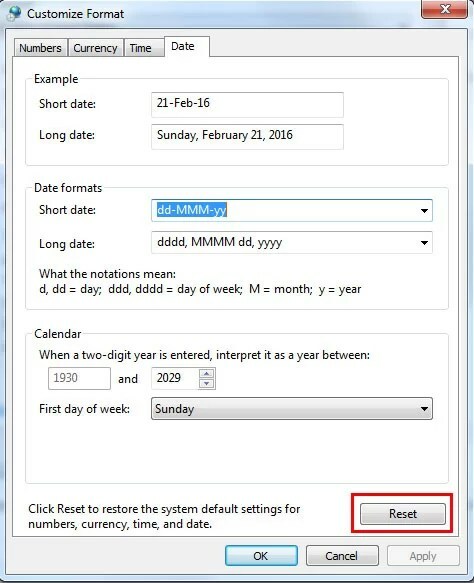 The trick is easy, just follow the below step by step to reset your Date and Time, Be aware that this change will effect the displayed format of all dates in almost all applications on your computer. 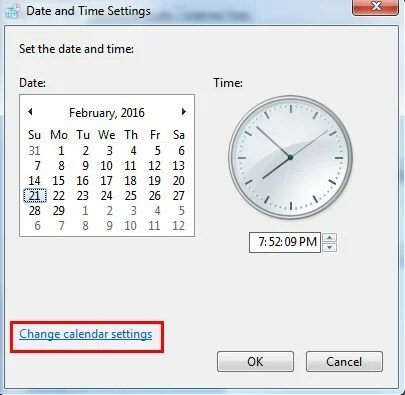 2) On the pop up window click change date and time setting..